Hello and happy spring! This Crispy Smashed Potatoes with Cheesy Buffalo Topping is an year round favorite in our home. 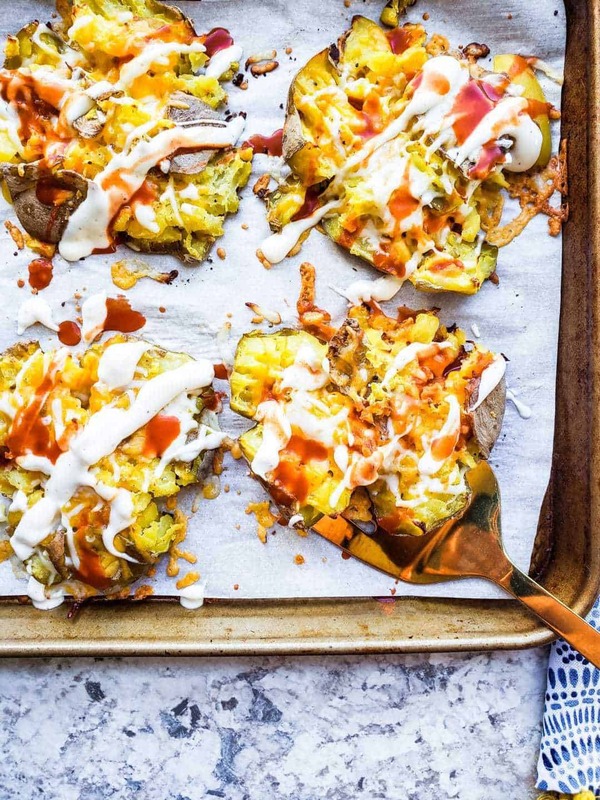 The potatoes are crisp, then topped with gooey cheese and a ranch and hot sauce combo for the ultimate side dish. My family often pairs these tasty taters with chicken, burgers, or just a salad if we are eating lighter that night. I hope you and your family love these simple and tasty must-make potatoes! 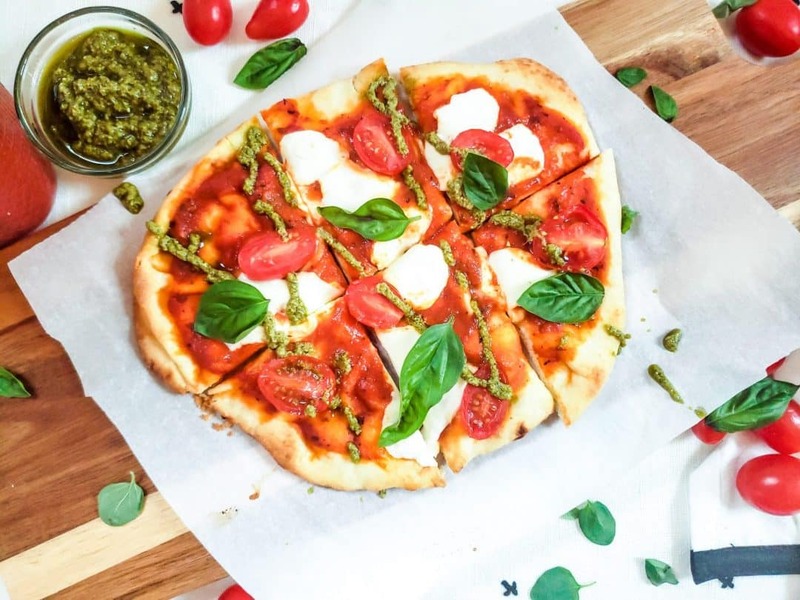 What is healthy, delicious and ready in only 30 minutes? 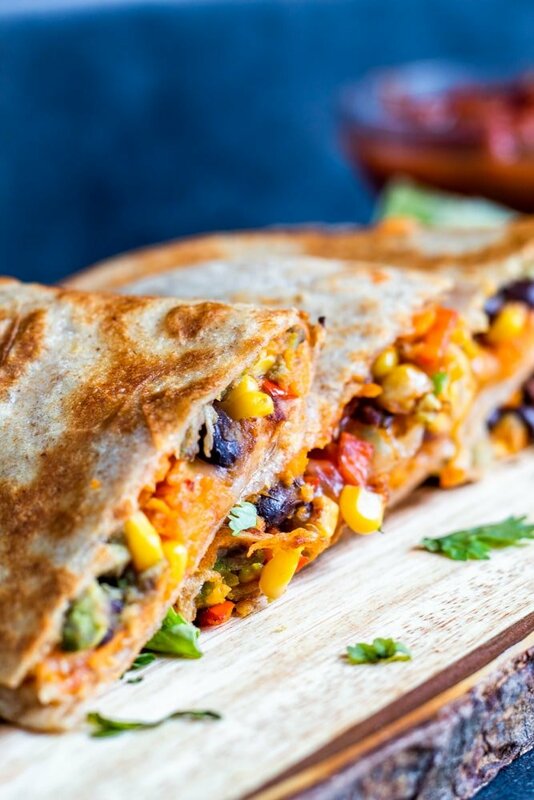 It is these Vegetarian Quesadillas! 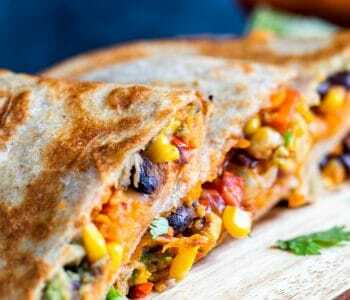 Packed full of goodness including black beans, sweet potato, avocado, and peppers, these are filling and good for you. That being said we can’t forget the staple to any awesome quesadilla: CHEESE! 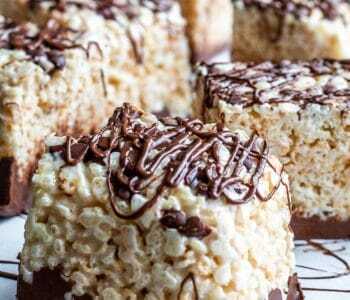 Or you could make this recipe vegan? 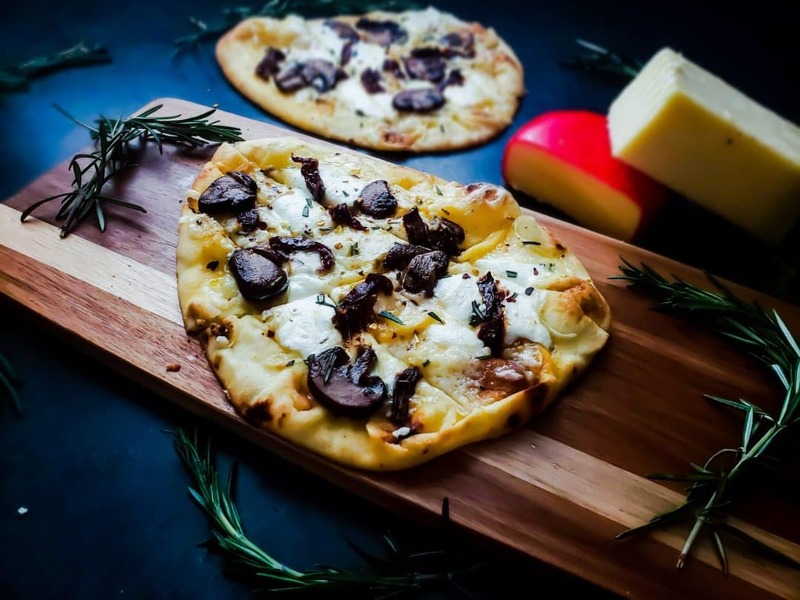 Swap in your favorite faux cheese and butter and go to town! This recipe is a great way to sneak in some veggies in a tasty way. 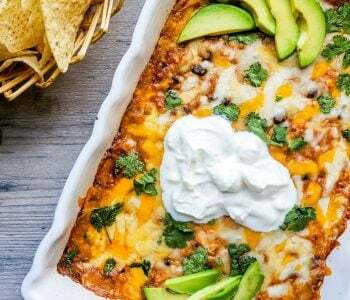 Perfect for both kids and adults this Mexican inspired dish is perfect for a quick weeknight dinner or lunch. Enjoy! Anyone else feel like January is an entire year long, then February is over in 18 seconds? Weird. Anyway, after all the sweet recipes I have shared lately, I thought a nice and healthy snack recipe would be a nice change. This Morning Glory Muffins Recipe is super healthy, vegan and one bowl making it one of my favorites. These muffins are perfect for meal prep on Sunday to have as a snack or breakfast all week long. 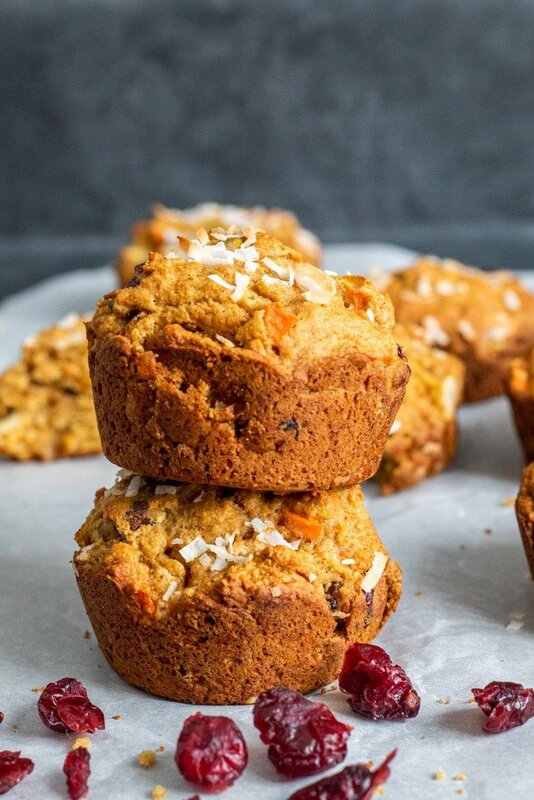 The combination of fruit, nuts and veggies make these muffins both sweet and hearty that any kid or adult will love. Also, these muffins can be changed and customized to you and your families personal taste. Enjoy! 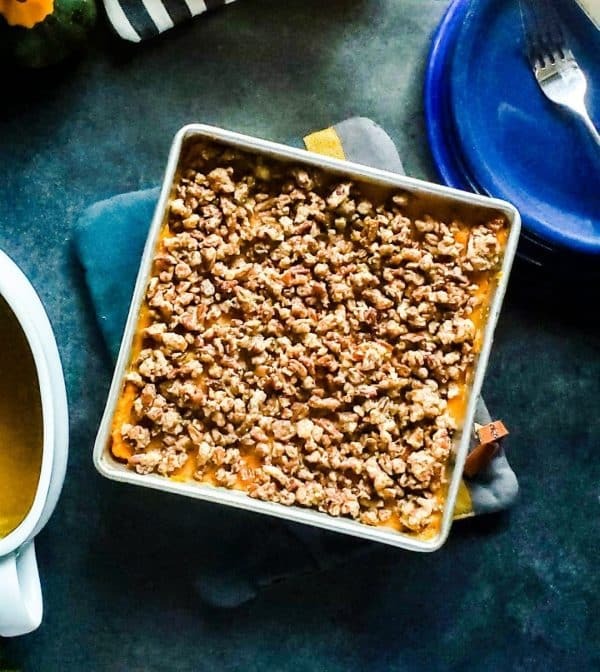 This Southern Sweet Potato Casserole with Sweet Pecan Topping recipe has been in my family for my entire life. The recipe came from my Great Grandma Merritt, my grandma’s mother. 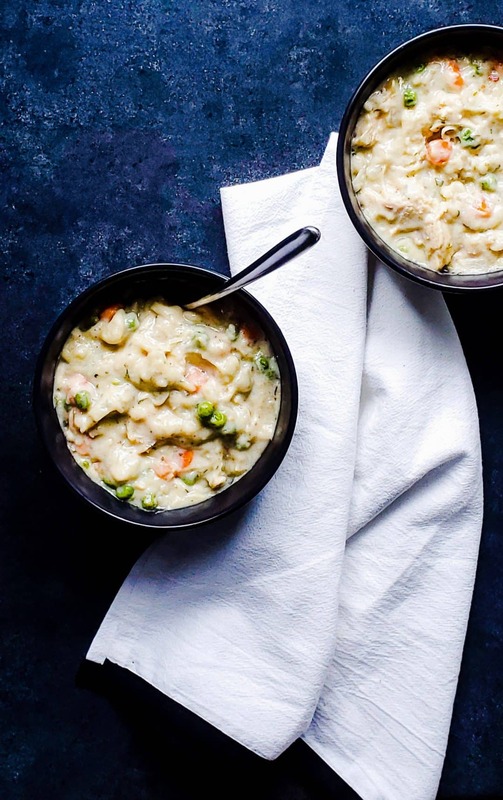 While she was living in Georgia she needed a recipe to take to her husband’s dinner party. 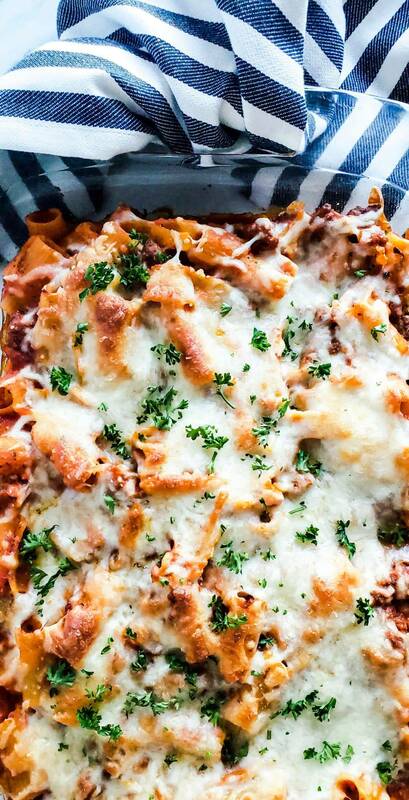 Her neighbor at the time shared this recipe with her and it was a hit! Ever since then this recipe has been made every single Thanksgiving with little deviation. My Great Grandma passed away many years ago, but a piece of her lives on through this dish. 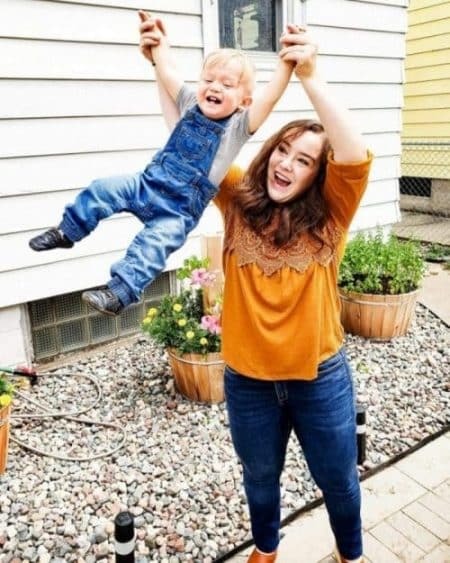 My great grandma taught it to her daughter, who then taught her daughter who then taught me. I love that I get to carry on the tradition and share it with my family. Let me just start by saying that myself and my family are NOT vegans. We enjoy meat and cheese very often. That being said I do try and incorporate vegan and vegetarian meals on a daily basis for my family. There are tons of health benefits from a high vegetable and plant based diet. 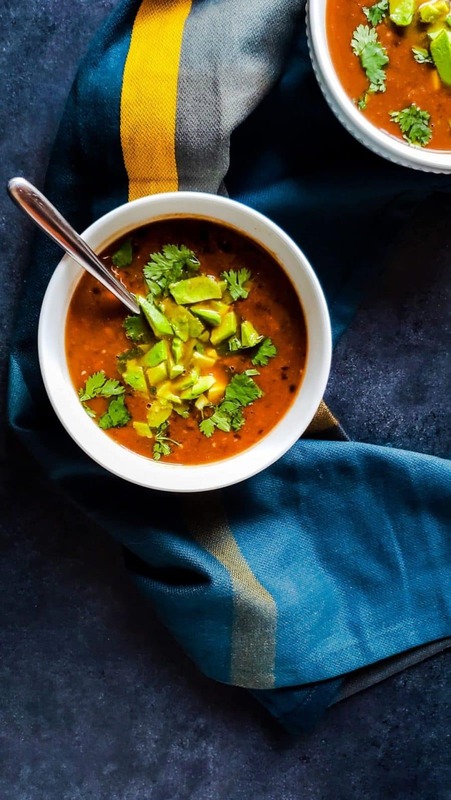 This Spicy Vegan Black Bean Soup is one of my favorite vegan dishes that I make for my family on a regular basis. I love how healthy, simple and fast this recipe is, and that it tastes good and makes you feel good. So before you turn your nose up to a vegan dish, GIVE IT A TRY! And if not there will be cookies next week. 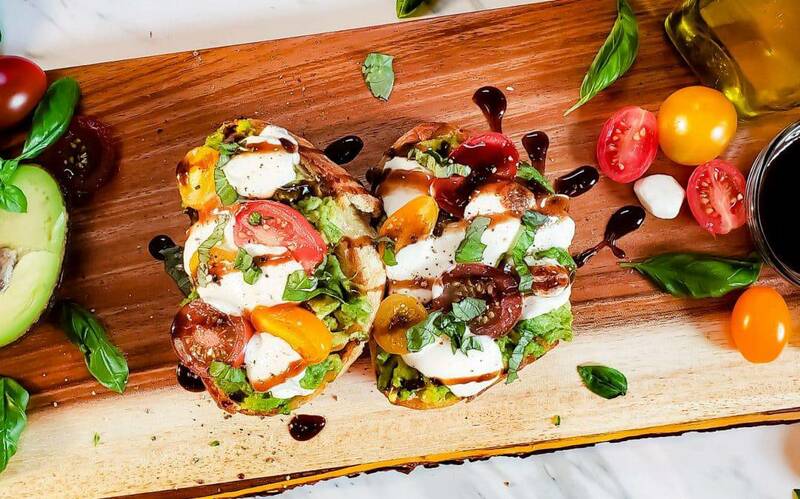 I love this Caprese Avocado Toast for so many reasons. It is very simple, quick to make, and can be served practically any time of the day. My favorite time of the day to eat this is for lunch, because it keeps me full and energized until dinner. Also this dish combines all of my favorites: bread, cheese and avocados! 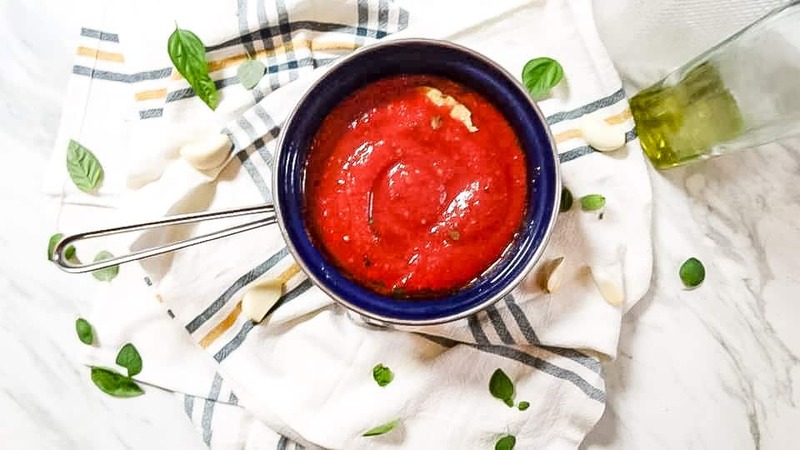 I am excited to share this Perfect Marinara Sauce with you today! For so many years, I have been buying jar after jar of marinara sauce from the store because I thought making my own would be too time consuming or difficult. I was so incredibly wrong. After about two years of consistently making my own sauces this marinara sauce is one I always come back to.